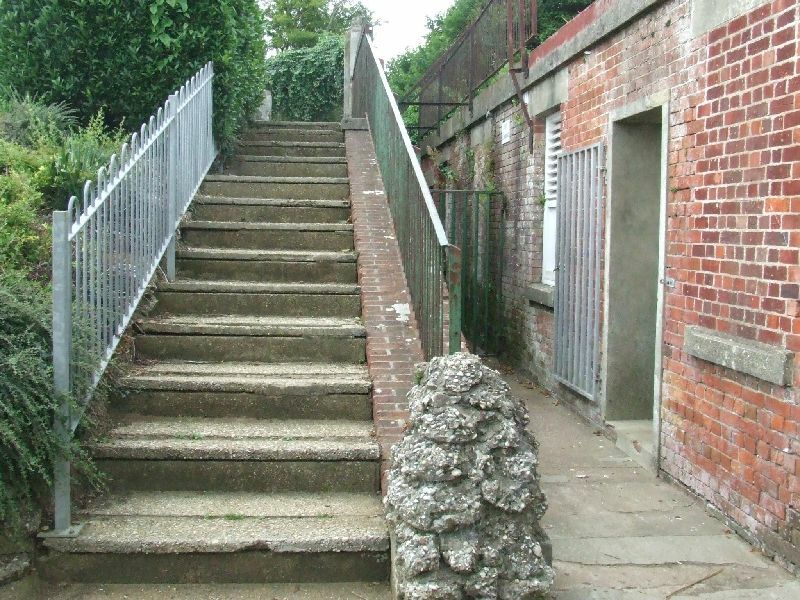 Sandown Battery is one of the many fortifications built on the Isle of Wight after the Royal Commission of the country's defences in 1859. 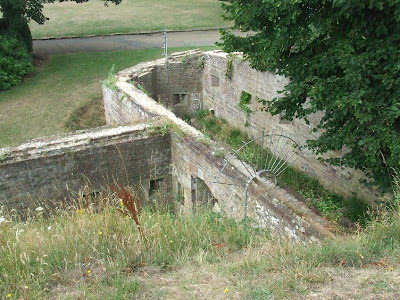 It was completed in 1863 and armed with 5 64-pounder Rifled Muzzle Loading guns, which were later replaced by Breech Loaders. 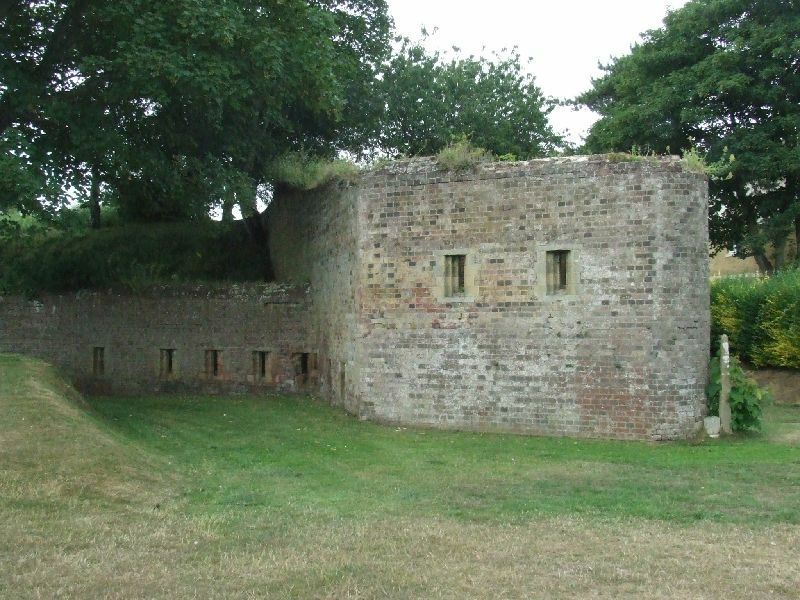 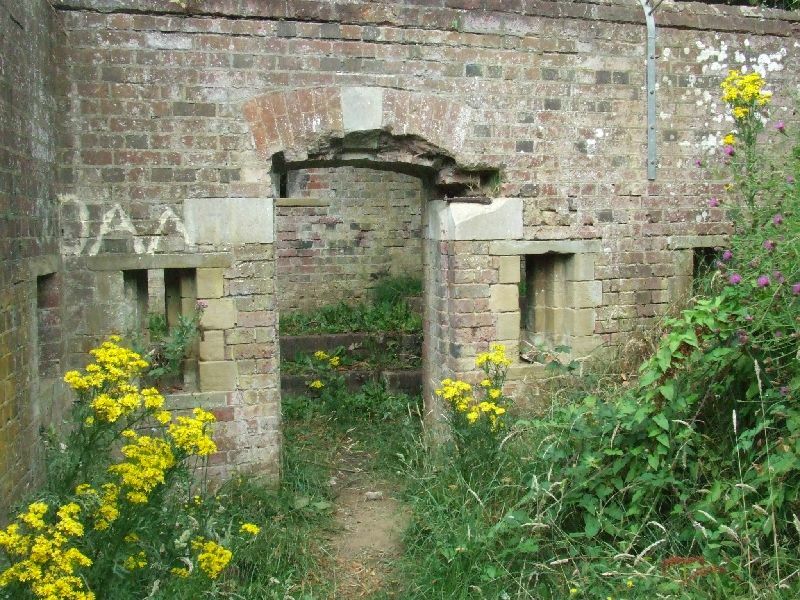 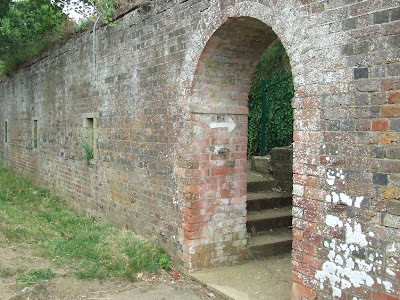 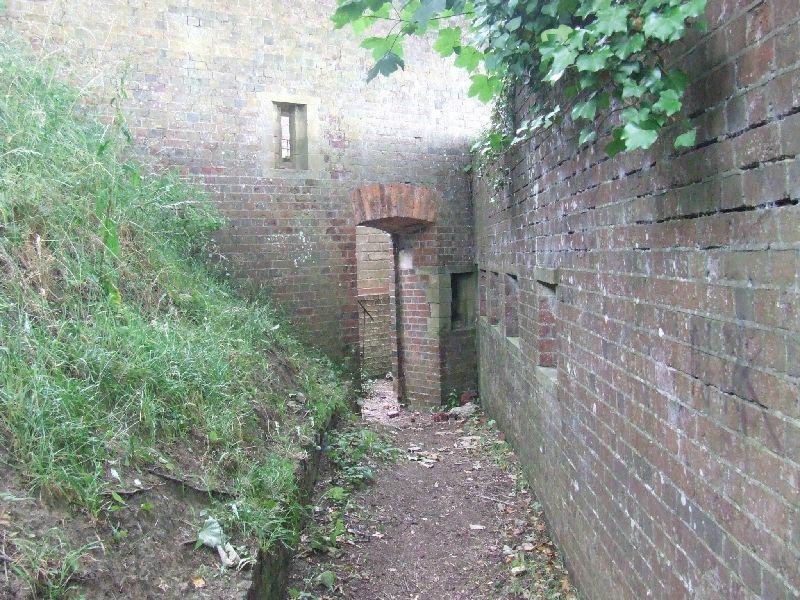 The battery was protected by a Carnot Wall, dry ditch and two caponniers and was similar in design to Yaverland Battery, which is located East of Sandown. 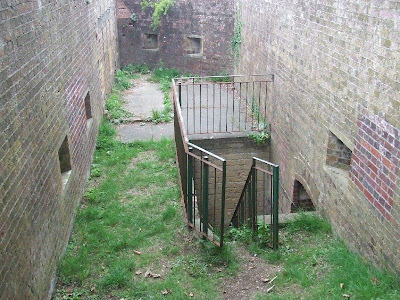 The gun positions themselves have been demolished, but the magazines and passages still exist underground as do the surrounding walls and caponiers. The battery now forms part of a public garden and can be easily visited. 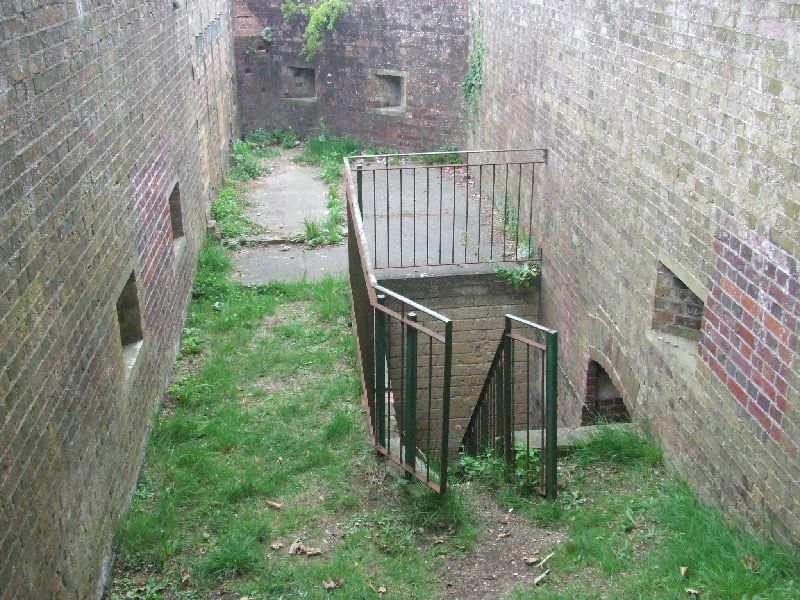 Me and my big sister used to explore the underground tunnels in the early 1990s. 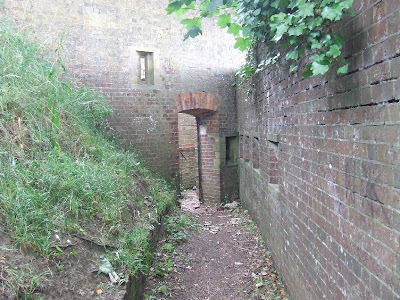 Back then, though the garden was there, the tunnels were derelict and partly obstructed, but you could squeeze in from a few access points. Some of the stores still had some abandoned gear. 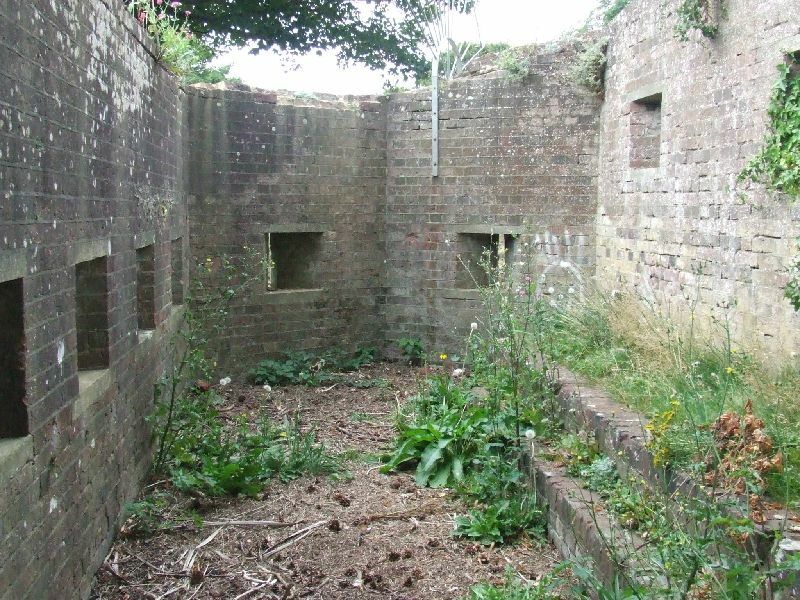 Maybe it had been used as shelter or ARP post in WW2? 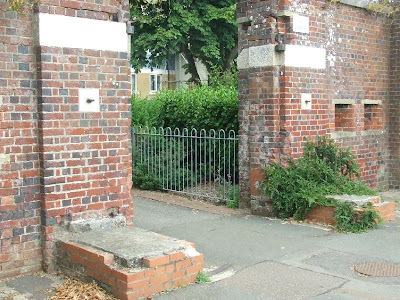 Alas, within a few years the council sealed up the remaining access points with breezeblocks. 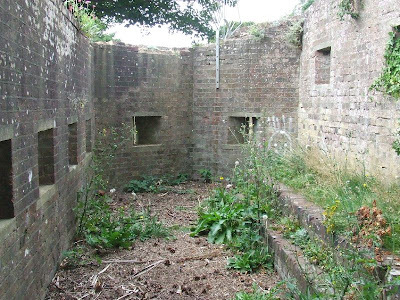 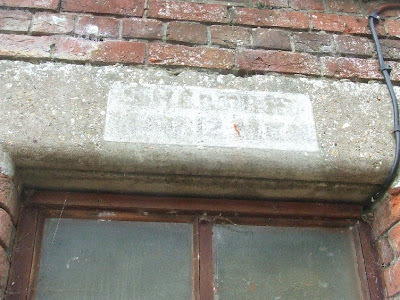 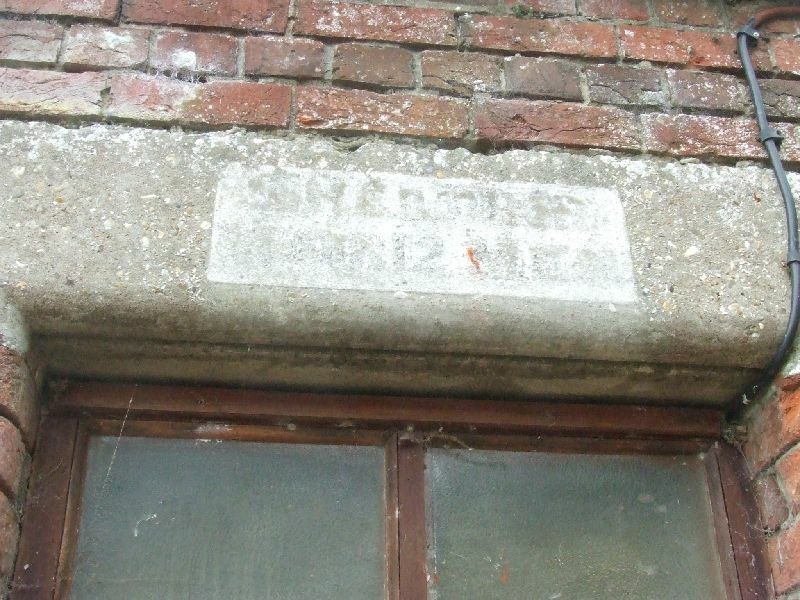 The Sandown Observer Corps Post (14 Group HQ Winchester) was sited here in WW2 .